In today’s world, we have a nearly unlimited amount of choices when it comes to food. Every culture on Earth is contributing to our diets – and some of our new options are downright bizarre. 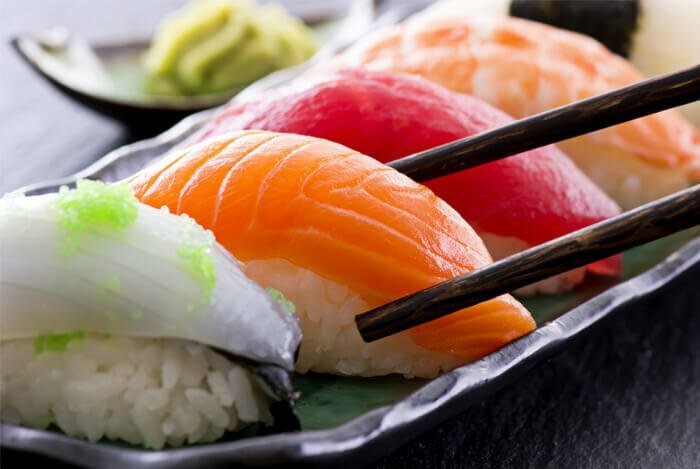 If you’re already a huge fan of sushi, you may be familiar with some of its supposed health benefits. Today, we’re going to look at sushi and find out just how healthy it can really be. Is Eating Sushi Worth the Risk? 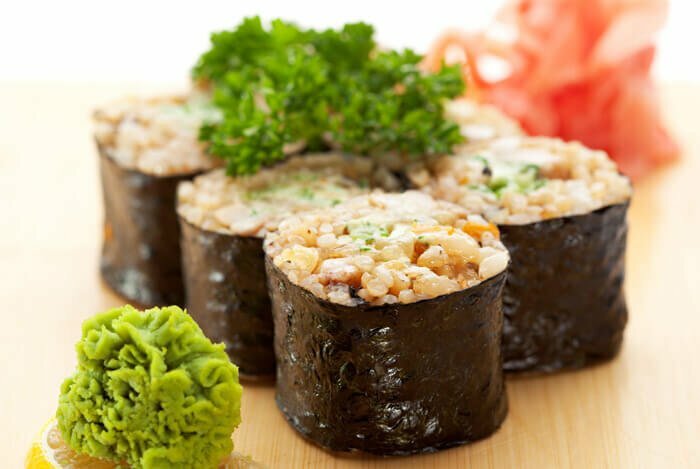 Sushi is traditionally vinegar rice topped with other ingredients like raw fish or vegetables. For most non-native Japanese people, we think of the term sushi as being interchangeable with raw fish. In fact, the word “sushi” actually means “it’s sour” in Japanese. Sushi is a relatively recent arrival in the United States and the West. It only started gaining ground here after World War II, and it wasn’t until the mid-1970s that a chef in Los Angeles invented the California roll. First off, let’s mention the rice element of sushi. 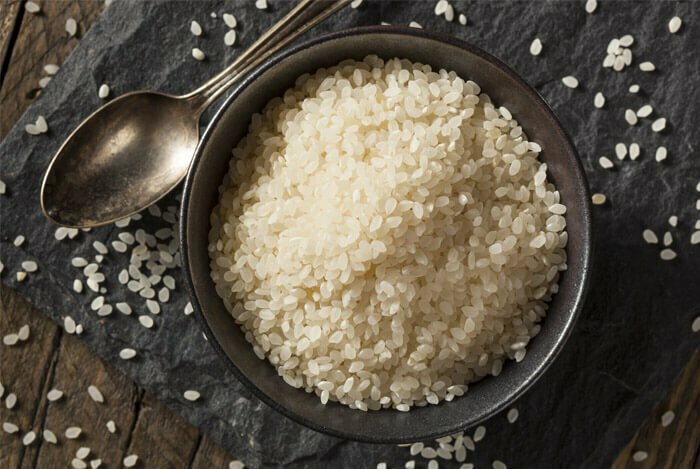 More than half of the world’s population lives on rice – an excellent source of carbohydrates and protein. It’s also gluten-free, which makes sushi great for anyone with celiac disease! The seaweed sushi is usually held together by contains iodine. Most fish used in sushi (and fish in general) are high in omega-3 fatty acids, which boost circulation and alertness. If you’ve been reading this blog for long, you know about all the awesome benefits of these healthy fats! These fish are also some of the healthiest foods in the world because of their high protein, vitamin B12, and essential amino acid content. They contain large amounts of vitamin D, which is necessary for the absorption of calcium. Seafood is also among the highest foods in iron, which is crucial for healthy blood cells. 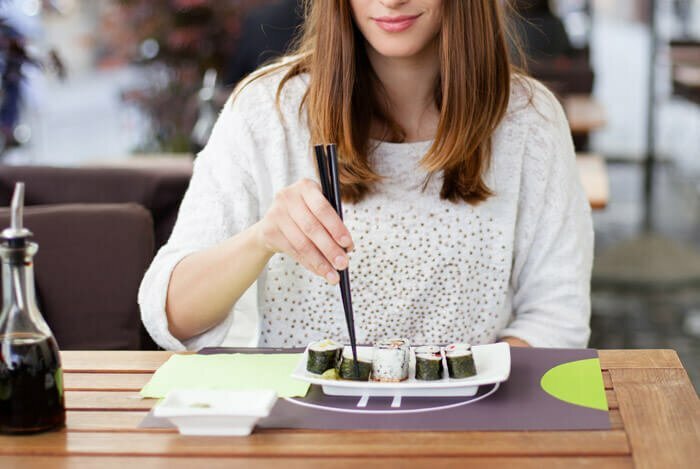 Sushi is also low in calories, especially if you select white fish like sea bass and red snapper, richer fish like mackerel, eel, and fattier fish like salmon or tuna. Because of these health effects, many people who eat these foods regularly are healthier in general. But that doesn’t quite mean you should jump on another diet bandwagon immediately. The United States Food and Drug Administration (FDA) recommends you cook seafood to keep foodborne illnesses under control. Because sushi is raw, you’re opting to expose yourself to a wide range of possible viruses, bacteria, and parasites. One study found that sushi can have “unsatisfactory” levels of bacteria, especially when bought from a store instead of made fresh. It’s seriously important that you get high quality ingredients and ensure proper temperature control for your safety when eating sushi. 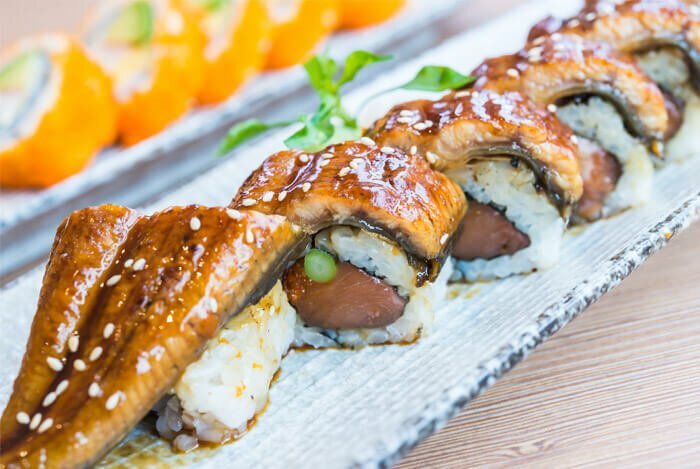 Sushi is also notorious for its high mercury content, which can lead to higher blood mercury levels, especially if you eat it regularly with tuna. Mercury poisoning can be pretty nasty, with symptoms like vision impairment, tingling throughout the body, and difficulties with movement, speech, hearing, and walking. Consider low-calorie sashimi. If you ask for your sushi sashimi style, you’ll only get the raw fish portion of the dish. This cuts back on calories. Limit your condiments. Soy sauce and sushi go hand-in-hand, but don’t overdo it. Soy sauce is extremely high in sodium – one tablespoon contains about 1,000 milligrams of sodium. Even low-sodium soy sauce has only 25 percent less sodium content. Other sauces can add up in calories as well, so keep an eye on that. Try veggie rolls. Most sushi restaurants offer veggie rolls with spinach, avocado, mushrooms, and sometimes peanuts. And if you aren’t sure which fish to order to maximize the health benefits and minimize the negative effects of sushi, check out this helpful website full of fish facts. You may have to ask: should I take the risk of eating sushi at all? The trick is to ensure that the sushi you eat is prepared properly and with clean ingredients. If you aren’t among the elderly or chronically ill, most of the immune system complications of eating raw fish can be avoided. Just be mindful of what you’re eating, how it was prepared, and where it came from. What’s your take on sushi? Have anything else you’d like to share? Let me know in the comments below!